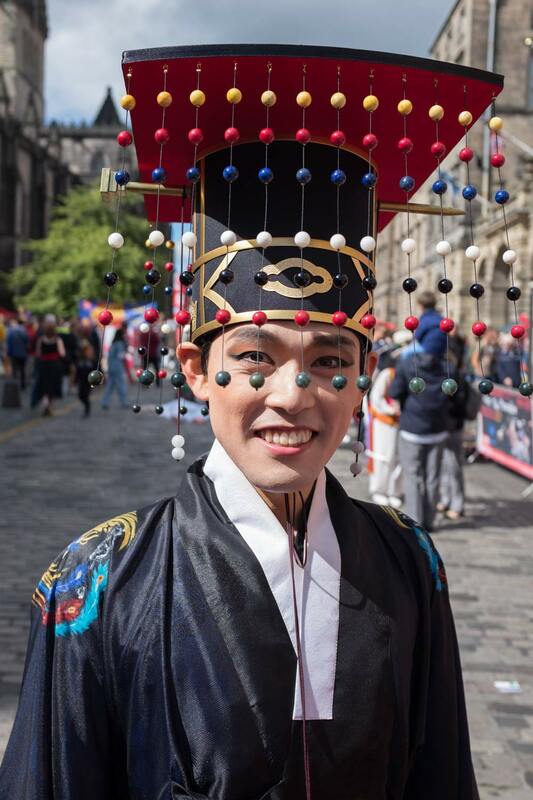 There were a lot of people on the High Street yesterday and a troupe of Korean players caught my eye. They flashed smiles at me. 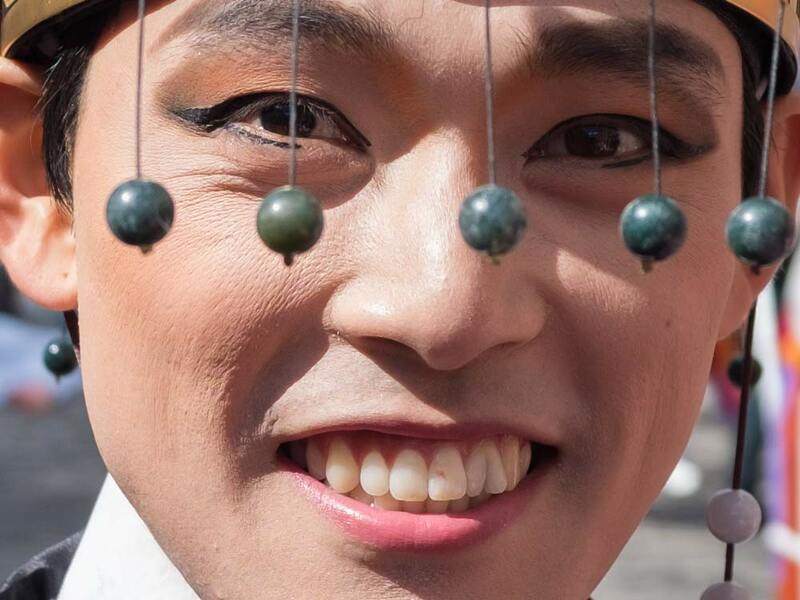 I have noticed before that Koreans in costume and playing a part maintain amazing smiles. Compare to the average passer-by they really stand out. The second shot is a closeup. I didn’t add any sharpening at all – in fact all I did in Adobe Camera Raw was to drop the highlights a little to settle the high contrast of the bright light of the day.